It’s time to demolish outdated stereotypes in business—one boardroom, or brewery, at a time. How Did Manjit Minhas Grow Her Business? 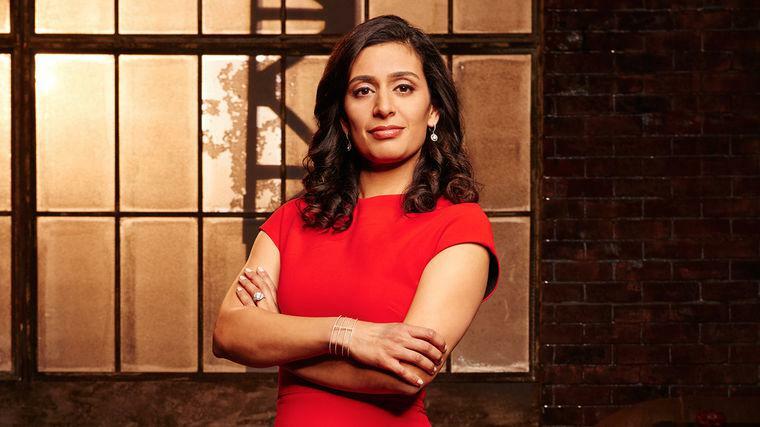 A formidable speaker, Manjit Minhas is an entrepreneur and judge on CBC’s Dragons’ Den who shares business lessons with equal parts force and finesse. Minhas runs a $187 million brewery—the 10th largest worldwide—that she and her brother built from scratch. Her unprecedented success demolished stereotypes, surprised her competitors, and cleared a path for entrepreneurs of every age and gender. Manjit brings her incredible entrepreneurial savvy to every stage. Dragon’s Den celebrity judge Manjit Minhas has been able to do what few ever thought possible—break into the notoriously competitive and notoriously male-dominated beer and spirits industry and grow her company to the 10th largest brewery in the world. She’s been profiled in Maclean’s, The Globe and Mail and on The National and was recently named one of Canada’s Top 40 Under 40, a distinction honoring outstanding Canadian leaders. She is a highly sought-after speaker and has given talks at the Rotman School of Management, the Haskayne School of Business, TD Bank, Accenture, United Way, and more. Minhas started Mountain Crest Liquors Inc. at the age of 19 in Alberta. In late 2002 she entered the beer market with Mountain Crest Classic Lager. It quickly became the first successful beer company to enter Canada in decades. Minhas Breweries, Distilleries and Winery is now making waves internationally: producing, developing, and marketing over 90 brands, and having served over 7 billion pints of beer. She is also the creator of Uptown Girl, a beer that is marketed and made exclusively for women. In 2006, Minhas and Ravinder purchased the second oldest brewery in the United States and renamed it The Minhas Craft Brewery, officially marking them as the Youngest Brewery Owners in The World. Their quality beers are shipped across the USA, Canada and overseas to 16 countries. The siblings opened The Minhas Micro Brewery in Calgary in June 2012, from which they make world-class craft beers and specialty beers such as a gluten free beer. Minhas is the first brewer in Canada to voluntarily put a Management Warning on all her beer cans. The Management Warnings include such direct statements as: “Please do not drink and drive—ever,” “Expectant mothers should avoid drinking alcoholic products,” and “Enjoy this product responsibly—Respect yourself and others." Her commitment to ethical business is one of the many reasons why her ventures have been so widely successful. Minhas is the author of the book Brewing Up a Damn Good Story and has received many awards, including Canada’s Women Executive Network’s Top 100 Women Entrepreneurs, Profit’s Top Growth Entrepreneur, and Chatelaine’s Top Entrepreneur Woman of The Year. She’s been honoured with The Calgary Herald’s "Compelling Calgarian" Award, been named to Calgary’s Top 40 Under 40 list, and her business was ranked number six in Alberta Venture Magazine’s “Top 50 Fastest Growing Companies.” Minhas and Ravinder also own Spotlight Film and TV Productions, which produces TV commercials, documentaries, corporate videos, and half-hour television series. They also own a home building company, Shergill Homes Ltd., that builds single family and custom homes in Fort McMurray and Calgary. Minhas was born and raised in Calgary and still calls it home with her husband and two young daughters. Facing tough choices with tenacity and living up to our potential is so often easier said than done. How can we truly rise up to the occasions that challenge us? How can we harness exciting possibilities in a way that inspires others? Manjit Minhas is a mesmerizing speaker who will show you how to make a difference—at work, at home, and in the lives of everyone around you. With wisdom and wit, Minhas shares her memorable experiences as an entrepreneur and leader, showing what it means to have vision, perseverance and true teamwork—and what it means to lead. Manjit Minhas started as a nineteen-year-old with $10,000 and a dream. Today, her brewery is the 10th largest in the world, and she’s seen over a thousand pitches in her four seasons of Dragon’s Den. In this talk, Minhas shares the principles and entrepreneurial values that have led her company to rapid success, and explores the similarities she’s discovered in the Den’s best entrepreneurs and visionaries. Why is trust one of the most important aspects of business? How can you successfully market your product on a small budget? Minhas is as down-to-earth as she is business-savvy: sharing the “art of the pitch” and the lessons she’s learned as one of Canada’s most successful entrepreneurs, including the necessity of embracing change, encouraging innovation, and incentivizing disruption at every stage of the game. It’s so easy to conflate our positions, roles, and responsibilities with who we really are. It’s even easier to be scared when we start to see that these titles no longer represent us fully. Minhas—CEO, entrepreneur, mother, wife, mentor, and investor—gets how hard it can be: especially for women. Creating a full, well-rounded life and career that’s truly your own means being brave enough to push the boundaries of your comfort zone, and move beyond the limiting definitions of yourself you may hold. As the co-founder of a now-$155 million brewery, Manjit Minhas is living proof that women can—and should—achieve success in even the most male-dominated industries. With her family-owned Minhas Breweries and Distillery, she’s combined savvy financial sense with passion, patience, and thick skin. In this keynote, Minhas will share her stories of challenges in her personal and professional life: and how she overcame them, re-define success, and thrive. She explores the tough questions many women in business face in today’s fast-paced world where work-life balance can seem like a luxury and true diversity can still seem like a dream. With candor, clarity, and unique insight, Minhas is the speaker sure to motivate and empower an entire generation of female innovators. How will you perform when you’re put to the test? Throughout her career, Manjit Minhas has put everything—money, reputation, relationships—on the line: intentionally. And things didn’t always work out the way she had planned. In this illuminating talk from one of the world’s leading entrepreneurs, she talks about the lessons taken away from these experiences, and how she was about to define her own success every time. Being an innovator and trailblazer in any industry takes courage and drive—but also finely-honed, measured risk taking ability. Minhas understands this better than anyone: she’s thought outside the box for twenty years, taking on behemoth beer companies—and coming out on top.